Spinal fusion is performed in the treatment of severe back pain or a neurological deficit that has not responded to conservative treatment. Typical symptoms are compression or damage of a neurological structure, such as the spinal cord or a nerve root due to disc degeneration, trauma or tumours. Treatment is accomplished by replacing the affected vertebral bodies and intervertebral discs to prevent motion at the effected segments, thereby allowing adjacent vertebrae to permanently fuse. 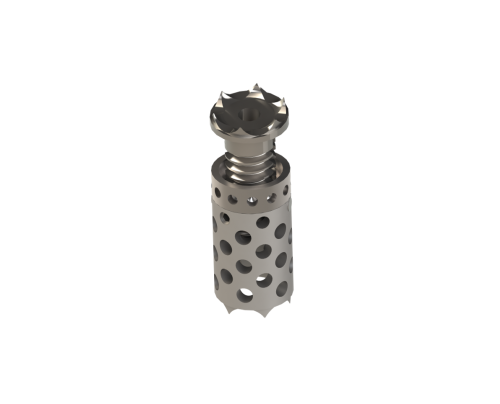 The Southern Thoracic Vertebrectomy device is manufactured from titanium with a cavity for bone graft. The device is height-adjustable through rotation of a set screw. The device comprises a base with set screws and an expandable head. It is available in a range of heights, with each further adjustable to achieve desired distraction. A stopper prevents over extension of during height adjustment. A parallel or angled construct results in a maximum bearing surface for optimal contact with the vertebral end plates. 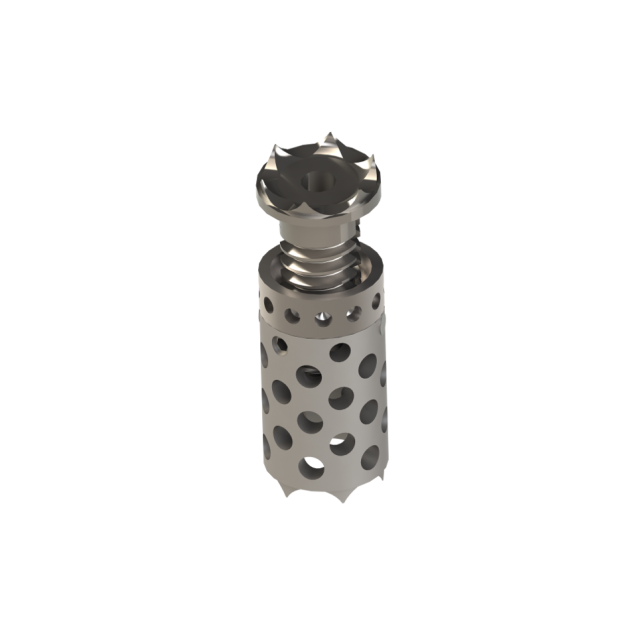 Serrations prevent the device from displacing between the vertebrae. 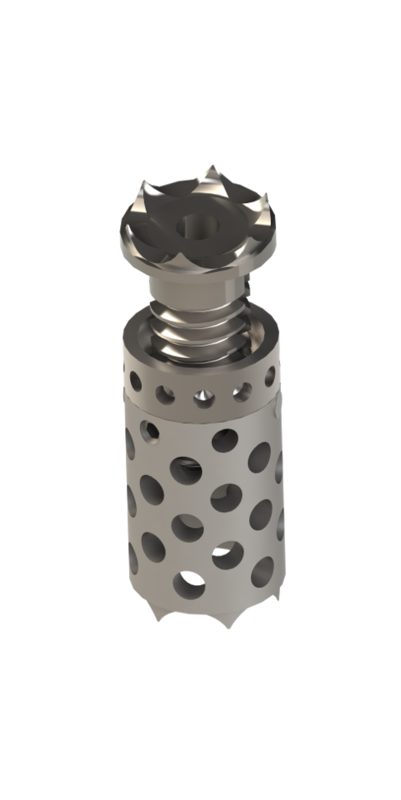 A cavity with an array of lateral holes accommodates bone graft to improve osseointegration.